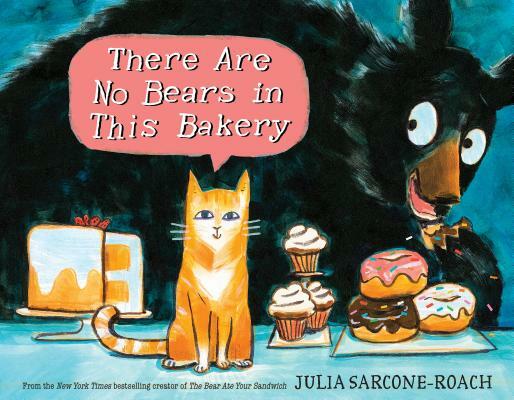 The creator of the New York Times bestselling The Bear Ate Your Sandwich brings us another sly story of a hungry bear and a smooth-talking narrator. A tough gumshoe of a cat--the name's Muffin--protects his territory: The Little Bear Bakery. But there are no bears here. Not on Muffin's watch. One night, Muffin hears a suspicious noise. Mouse? Raccoon? Bat? Nope, not the usual suspects. But Muffin hears . . . growling. Could it be? Yup. A bear. Just a cub. Whose stomach is definitely growling. Muffin's got this case solved--clearly this bear needs some donuts. In this wonderfully noir-tinged tale, Julia Sarcone-Roach gives us another funny story of a hungry bear in the wrong place at the right time. This tale is sly and sweet, with sprinkles on top. After attending the Rhode Island School of Design, Julia Sarcone-Roach made her Knopf picture book debut with The Secret Plan, and followed it up with the highly praised Subway Story. She is also the creator of animated videos, including Call of the Wild, which was featured in indie film festivals and won several prizes. Julia lives in Brooklyn, New York. You can find her on the Web at jsarconeroach.com.